Now with Samuel Kabir eating solids our mealtimes have become so much more fun. It’s so entertaining watching him try new things, roll his eyes or smile with glee each time he tries a new food. 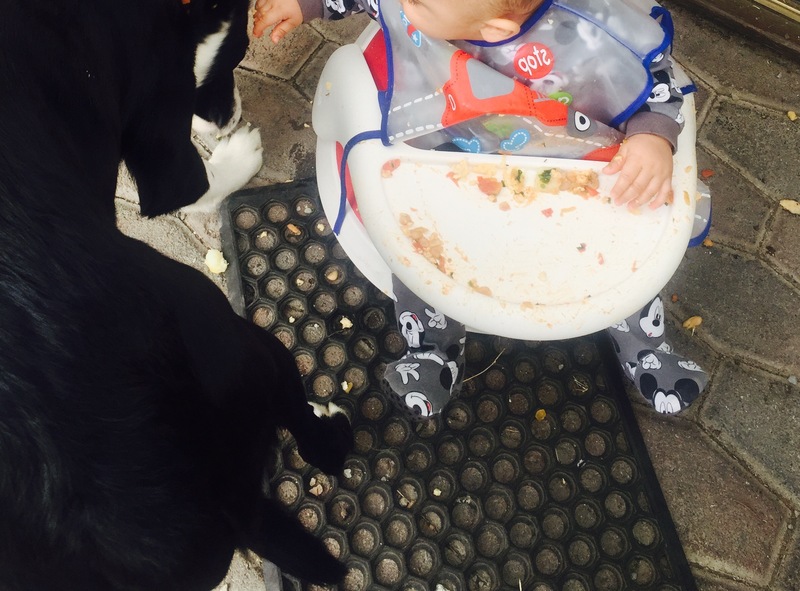 One thing is for sure the boy loves his food. Who wouldn’t I suppose with foodie parents like us two. 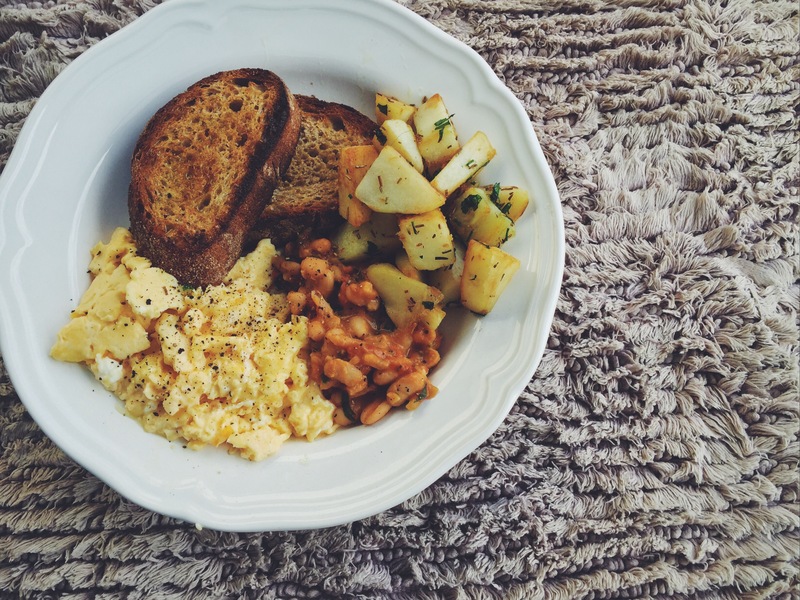 My favourite part of the week has to be cooking and relishing weekend brunches with my family. 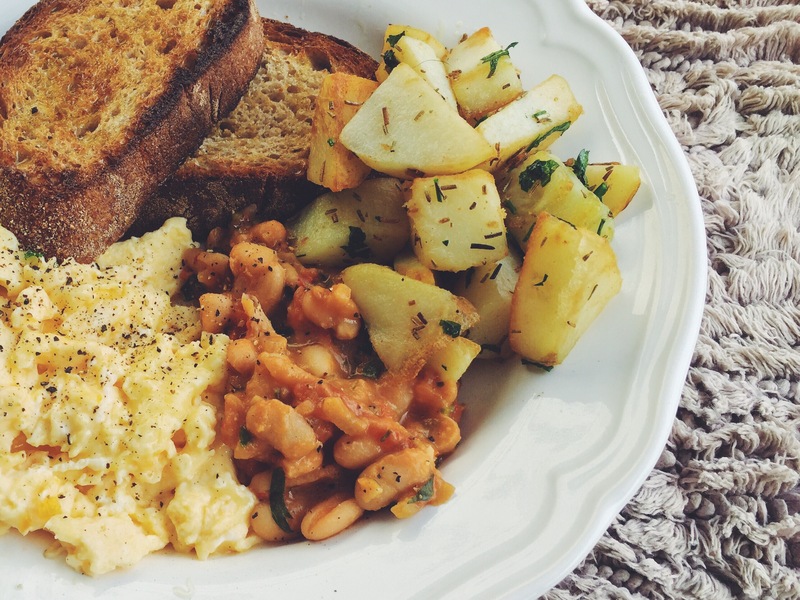 Recently I decided to make my own spiced breakfast beans and crispy breakfast potatoes. 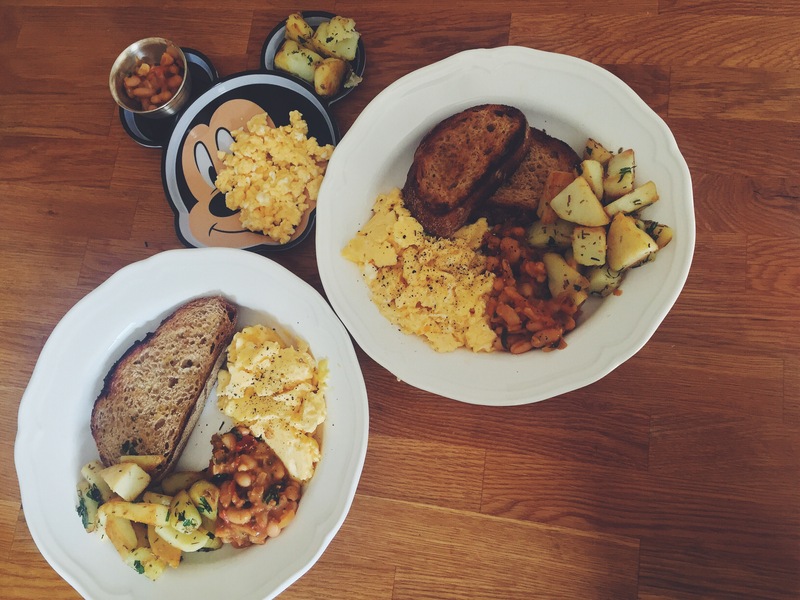 Needless to say there were cheesy scrambled eggs and beautiful crusty grilled sourdough. While I’m a complete believer in convenience and using canned baked beans would’ve been just fine. Since it’s the question of nutrition for little SammyK I make no compromise. 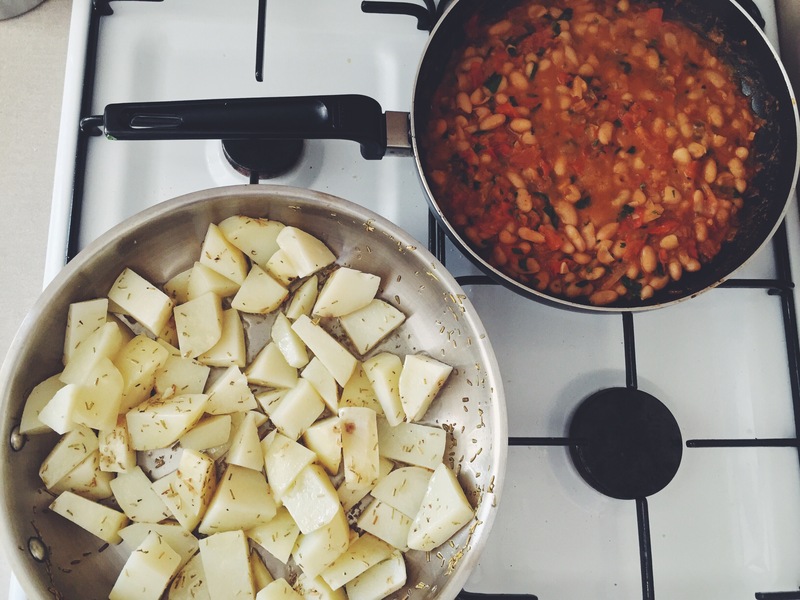 Besides when homemade beans are so easy to make and ready in 15 minutes, why wouldn’t you make them at home. Begin by rinsing the beans thoroughly to wash off the salts and rind. On the other hand parboil the potatoes until slightly tender. Heat oil in a pan. Add garlic and onion, cook until aromatic. 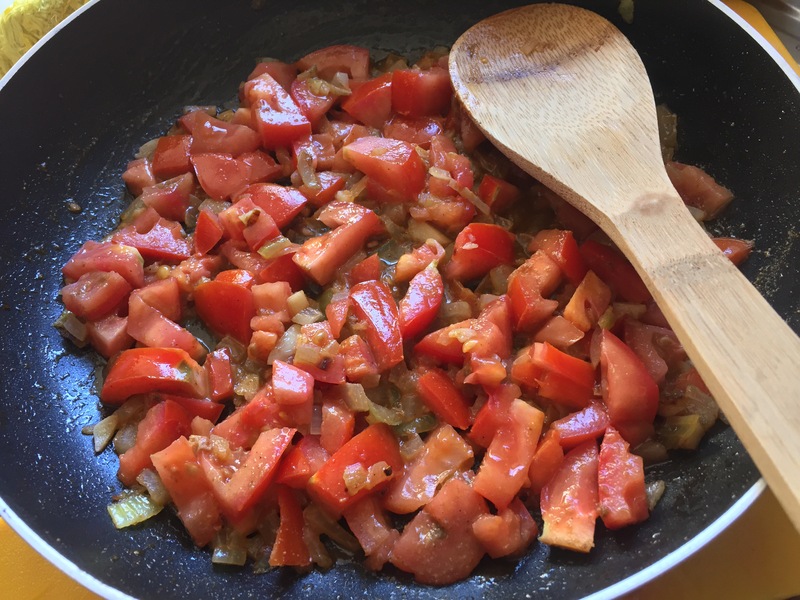 Now add tomatoes, herbs and spices and let the tomatoes stew on a medium heat for five to seven minutes. 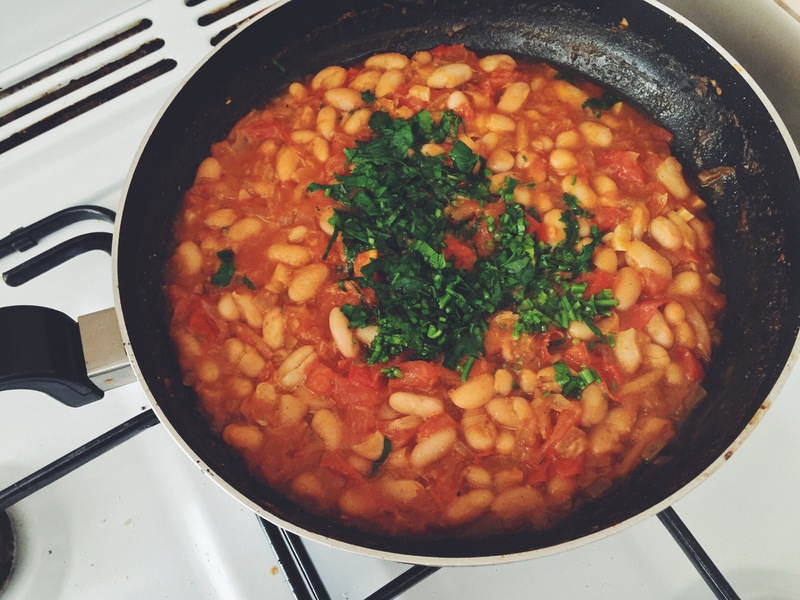 Once the tomatoes are soft add the beans and half a cup of water. Mix well and cover the pan, let the beans simmer for 10 minutes. In the meantime, heat oil in another pan. 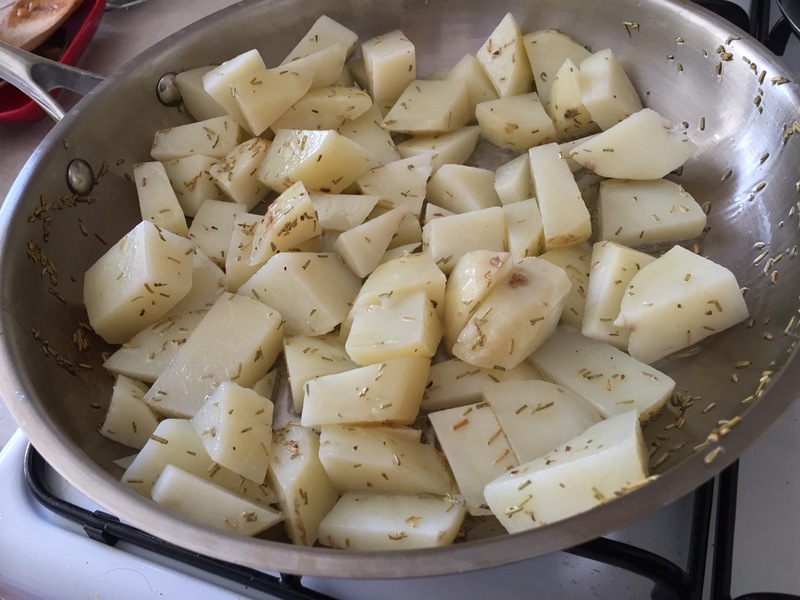 Add mixed Italian herbs, once aromatic, add the potatoes. Toss well and cook until potatoes are cooked through and crispy. To make the eggs. Whisk the eggs and milk in a bowl. Heat oil in a pan, add the eggs and turn the heat low. Keep folding the eggs in until scrambled and fluffy. Add grated cheddar and mix through. Garnish with cracked pepper. Your lip smackingly delicious big breakfast is ready to serve. If you are sharing this with your little one, take out relevant portions for him/her and then add salt for seasoning to the remaining. All the meat lovers feel free to add chorizo in beans or bacon on the side. Or just take my word that you won’t miss the meat if you eat a well cooked vegetarian meal once in a while. So what are you waiting for. Pile it all up on a big plate and enjoy with a nice cup of coffee. Meanwhile in our house SammyK demolished his food and then went on to feed his furbling.